Very few Star Trek fans believe that the first seasons of Deep Space Nine—focusing on the unstable relationship between the Bajoran government, its spiritual leaders, and the only-sort-of welcome Federation—are its strongest. But it’s gotten me thinking lately that it could form the basis of a fascinating Trek show in its own right. 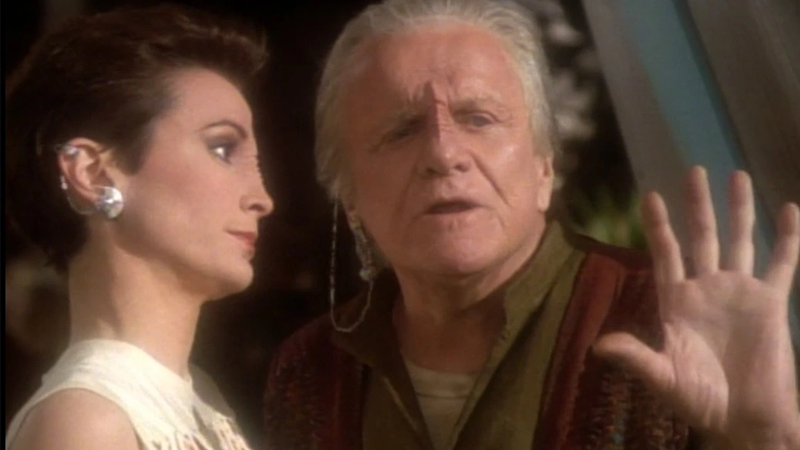 Above: Neela attempts to assassinate Vedek Bareil in 'In Hands of the Prophets', one of the major catalysts of Deep Space Nine’s early conflict over the Bajorans. There comes a point in any Star Trek fan’s re-watch of Deep Space Nine where they think to themselves, “Man, I could just skip all this Bajoran drama and get straight to the Dominion stuff.” It’s inevitable—the early seasons aren’t bad, really, they just have to compete with some of the best long-form storytelling in Trek’s entire history. I’ve been rewatching DS9 myself recently—thanks to the bug biting me again after Star Trek Online’s wonderful anniversary expansion—and am still in those early seasons, full of Bajoran turmoil and enough Vedeks you can shake one of those silly three-pronged pope hats at. 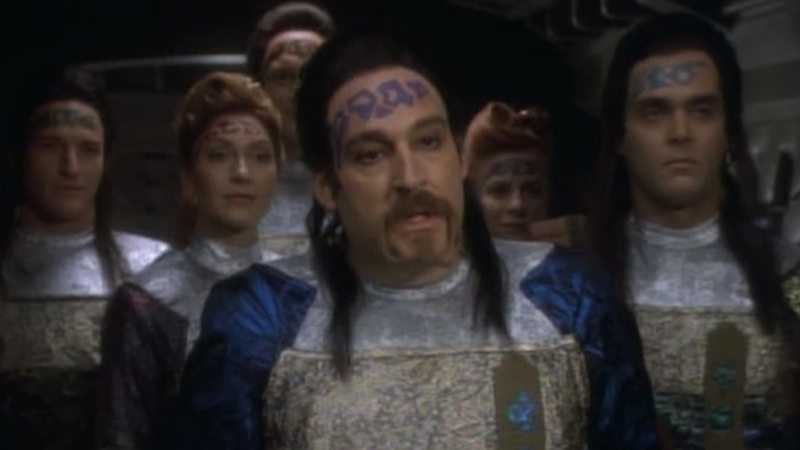 But this time—instead of longing for the sweet release of balded, goateed Sisko as the herald of the Dominion war—I found myself oddly drawn into just how deeply the show dove into the perspective of the Bajoran people. Despite being a franchise laden with alien species being discovered and explored, Star Trek usually moves around so much from episode to episode that we don’t really get to dive into a lot of those alien societies beyond a surface level. Even the more regular aliens we see across Trek shows—primarily Vulcans and Klingons, and then smaller staples like the Bolians, the Ferengi, the Betazoids in The Next Generation, and the Trill in DS9—are often framed by the perspective of a single member of that species, and they’re seen almost wholly within the structural confines of the Federation. 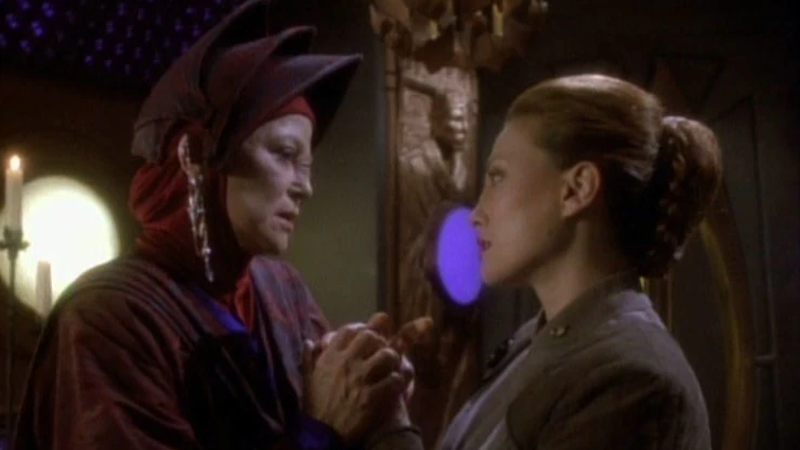 The Bajorans were different, however, because in the confines of the story DS9 was telling, Bajor and Starfleet were stuck with each other, and neither side was really excited to deal with the other at first. They had to get to know each other—Starfleet so they could eventually convince Bajor to be inducted into the Federation, the Bajorans because they desperately needed help recovering from a traumatic and tyrannical period occupation—and it was a process that had the time to develop over the course of multiple seasons. It was a process that was often messy and reflected on the poorer flaws of both sides—one not as amicable as alien contact often is in Star Trek—and boldly, the Federation was not always seen as in the right. They could be meddlers and sly political players as much as they could be useful allies and benevolent saviours. It was a fascinating push and pull at times, even if DS9 would take a harder look at Starfleet in wartime with the Dominion storyline. However, even as the show slowly started fleshing out the Bajorans in those early seasons, it was still mostly from the basis of examining them from the Federation’s perspective. Even when Major Kira, the show’s focal Bajoran character, is acting as the primary surrogate to explore those ideas, she’s usually doing so on behalf of the Federation in her role as DS9's liaison. Deep Space Nine is the closest Trek has come to giving us an outsider’s perspective on the Federation and Starfleet at large, but it is still a fundamentally Federation-focused show. 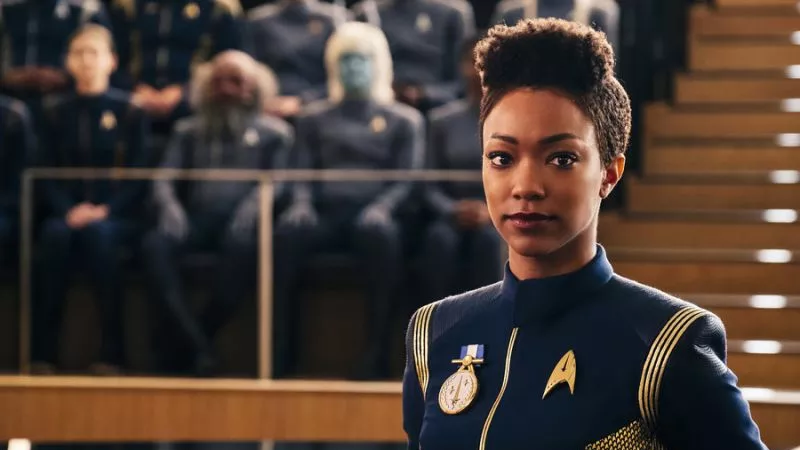 So... now that we know a bunch of new Trek shows are on the way—an animated series, a Starfleet Academy YA show, and maybe even possibly the return of Patrick Stewart himself!—why not give us one that can actually explore that idea? It doesn’t have to be the inverse of Deep Space Nine, where Odo, Kira, and Quark are the main focal characters and Sisko, Dax, Bashir, and O’Brien are merely supporting players. But altering the show’s initial premise would give us a fascinating lens with which to explore the Federation—a prospective new member world of the Federation having to get to know Starfleet and its potential new neighbours, and really seeing if those vaunted ideals of utopia hold up beyond the Federation’s reputation. Not only would you get the chance to explore a new Trek society, you’d get to frame the Federation and Starfleet from a perspective we’ve never truly gotten to explore before. At times it could even be a playful satire of Trek and the very weird stuff our Starfleet heroes tend to get up to in their weekly adventures. Former io9 writer and Trek savant Katharine Trendacosta has long argued for the hilarious idea of a poor Starfleet recruit who has to make sense of the mission logs of a ship that’s as frequently maligned on wacky adventures as the Enterprise, which would be a great Trek show. Imagine being on the receiving end of “sorry one of our away teams got hit by a tachyon pulse and sent into a subspace dimension where they basically met God” as someone completely unfamiliar with what the Federation gets up to on a regular basis. But an alien-led Star Trek series could really test the ideals of the Federation as a society, putting on a game face as the peaceful utopia it strives to be while having to deal with integrating an entirely new species and perspective into its grand alliance. Are they all really as good as they seem? Can they be trusted? But perhaps most importantly of all—what are they really like when that facade of benevolence slips, just as it did in Deep Space Nine, when it encountered the Dominion? Exploring the Federation as the “other” could be a truly fresh take—and a valuable one. And in the right hands, it’s a scenario it could reaffirm the goodness and kindness that’s crucial to Star Trek’s ideals—instead of hearing those ideals simply espoused by the Federation itself (and accepting them at face value because they’re the “good guys”). Getting to see them in action from the view of an outsider would be a chance to re-affirm that their tenets aren’t just for show. The goodness of the Federation can ring a bit hollow when it’s the Federation itself standing up and just announcing that it’s good—seeing it in action from an alien perspective would prove it’s more than just patting itself on the back. But above all, it’d be something really new for Star Trek to engage with long term. We’ve had six shows and umpteen movies about the Federation boldly going, seeking out new life, and new civilisations. Why not stop and see what some of those new civilisations actually think of them for once?